We try to keep in close touch with various conservation groups to stay on top of the important issues that our fishing community is facing.We have been following the Menhaden management plan lately and urge you to get involved to let your voice be heard. 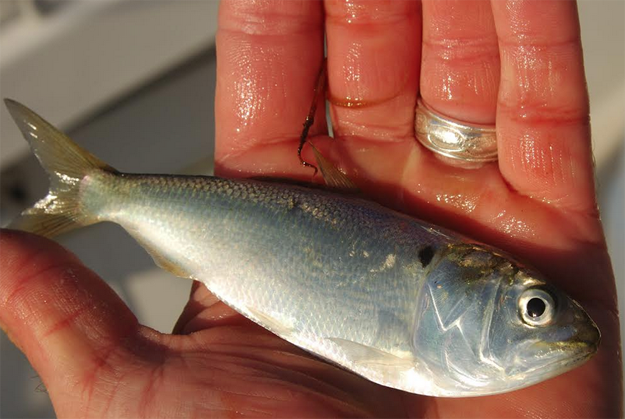 There is currently a public comment period open on Atlantic menhaden. At their annual meeting, ASMFC’s Menhaden Management Board unanimously approved the Public Information Document (PID) for Draft Amendment 3 for public comment. The public can comment at upcoming hearings or in writing, now through January 4, 2017. Helping get the word out about these important opportunities (e.g. social media, action alerts, e-newsletters, etc.). *Public comments should be forwarded to Megan Ware, Fishery Management Plan Coordinator, 1050 N. Highland St, Suite A-N, Arlington, VA 22201; 703.842.0741 (FAX) or at comments@asmfc.org (Subject line: Menhaden PID). The conservation of menhaden benefits everyone. Managing “the most important fish in the sea” to account for their role as forage fish will enable the population to continue to grow, while increasing menhaden’s value to recreational fishing, commercial seafood, and tourism businesses that all depend on this important fish and its predators. That is why we are supporting Issue 1, Option D.
If you haven’t seen it, here is footage of the amazing activity happening off New York and New Jersey, as we work together to protect hundreds of millions of menhaden and all that they provide to predators (including ourselves). It is hard not to get inspired when imagining what the Atlantic will look like when we restore this species to its historic abundance and range! I’ve attached talking points for your reference, as well as the Public Information Document, and a full hearing schedule. There is also this blog post from John McMurray, a recreational fishing leader from New York, and here is our action alert. As you review and decide how to get involved, please let me know if you have any questions.